Tagged with Australia, Australian Universities International Directors’ Forum, New Colombo Plan, Outbound mobility. Almost 20% (24,715) of all Australian graduates from an undergraduate programme have had an overseas experience, according to a survey of 36 Australian universities. The i-graduate survey of Australian Universities International Directors’ Forum members shows that students who had taken part in some form of overseas study experience increased 19.5% to 38,144 students in 2015, compared to 2014. With all other major study destinations amping up efforts to get more domestic students overseas, the report shows Australia is far outpacing its peers. Corresponding figures in the US show 15% of students study abroad, in the UK it’s 5% of graduates and in Canada it’s as low as 2.3% of domestic students. “I think Australia is doing so well in this area because we are a relatively small number of universities, that communicate and collaborate extremely well, that have the national-level support for mobility from the Foreign Minister down,” said Rob Malicki, director of The Global Society, the national society supporting Australians who study overseas. Malicki said Australia’s outbound mobility is “on the threshold of a tipping point” after “growing systematically” over the last decade. “The universities have been well invested in outbound mobility for the past 10 years and it is starting to really show,” he told The PIE News. Almost 40% of all overseas experiences were in the US, China, UK, Indonesia and Canada with the US proving the most popular, attracting 13% of all experiences, while China and the UK each attracted 9%. But a huge part of Australia’s success is the New Colombo Plan, relaunched in 2013, that provides mobility grants to students to study and work overseas. The number of undergraduates studying in the programme’s “priority destinations” (China, Indonesia, Japan, Cambodia and India) in the Indo-Pacific increased 32% in 2015. “I’m not understating it when I say that the New Colombo Plan has changed the face of outbound mobility in Australia,” said Malicki. Similarly, Trevor Goddard, a member of the board of directors at the International Education Association of Australia and a member of the DFAT New Colombo Plan Reference Group, said NCP is “redefining mobility” in Australia. “It’s starting to become woven into university marketing and recruitment, scholarship offices, alumni engagement, international and industry engagement offices and within the careers and leadership space – so not simply transforming students through their education, it is transforming institutional internal structures through capacity and services around student mobility,” he told The PIE News. NCP’s influence has also gone beyond the traditional education sector, observed Goddard, with corporations such as the National Australia Bank aligning their Asian internship programmes with the NCP opportunities. And the increased mobility to Indo-Pacific countries isn’t at the expense of US, Latin American and European destinations but rather indicative of increasingly career-savvy students, he said. Among undergraduates, short-term study made up the majority (77%) of mobility programmes – 15,748 – followed by exchange programmes and internships or practical placements. Research-related experiences were most common among postgraduate students, making up 30% of all overseas travel in this cohort. Discussions abound in the sector about the impact of short-term mobility programmes, but Malicki said international educators “shouldn’t be prescriptive” about which type of overseas study students undertake. “I believe we are facilitators first and foremost and shouldn’t be zealots about ‘programme type x is better than program type y’. If the experience is a quality one, and it’s having a positive impact on participants, that’s about all I care about,” he said. We have witnessed the growth of short-term student mobility programs over the years. 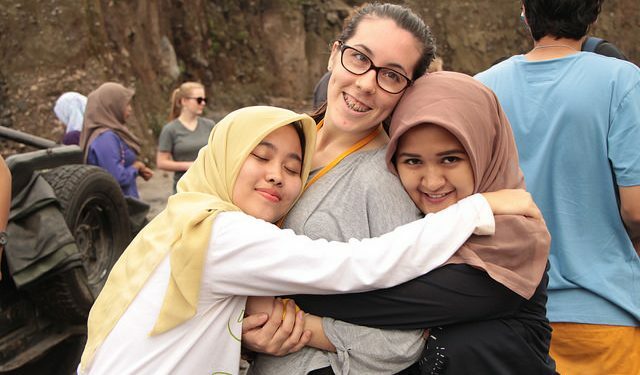 As these programs are effectively contributing towards student experiences, this trend should be encouraged and supported by the Australian international educators.